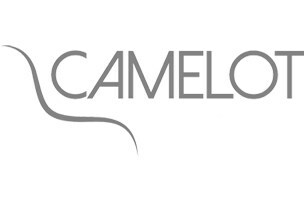 Camelot Furniture Ltd - Mobility based in Alport, Derbyshire. We are a British family-run business based in Sheffield and Derbyshire with over 75 years worth of experience in manufacturing bespoke furniture, which we supply nationally. We are specialists in Riser Recliner chairs and Electrically Operated Profiling beds. More recently we have introuduced stairlifts into our extensive range. We are working closely as a parner with two of the UK's largest Stairlift Companies. We pride ourselves on listening to customer’s needs and manufacture quality chairs and beds along with supplying high quality bespoke stairlifts, Straight or Curved to suit your requirements. We are the preferred supplier of all Lift and Recline chairs for Signature Care Home Group. We work closely with many NHS Trusts, most notably Guys and St Thomas’s in London, supplying the New Cancer Centre, and Sheffield Teaching Hospitals Trust. As a British manufacturer, Camelot has the exclusive rights to Brisa® fabric on our electrically operated Riser Recline chairs which is available in over 100 colours. Brisa® is a unique breathable fabric which looks and feels like leather, it also gives ultimate comfort with climate control and durability, is water repellent and soft to the touch and is also easy to clean. If you would like to speak to one of our sales team, please do not hesitate to contact us on 01629 636 831. We would be happy to help take you through the options that are available to ensure that your chair, bed or stairlift is tailored to meet your specific requirements.